Do romantic relationships trip you up? One major way the ego blocks us from happiness in relationships is with what A Course in Miracles calls special relationships. When you see someone as special, you make an idol of them. What are idols and special relationships? From the perspective of the Course, an idol is someone you make better than yourself, your friends, your family and even your higher power. You believe your idol is your source of happiness. This act of turning someone into an idol is one of the ego’s craftiest tricks. Idolizing someone reinforces the illusion that we are separate from others. The ego uses special relationships to protect us from feeling the pain of separating from love, which most of us do at some point when we are young. As I say in Judgment Detox, we feel a lot of guilt and a deeply uncomfortable sense of incompleteness as a result of separating from love and cutting off our truth. We try to find relief in someone else, choosing to believe that another person can “complete” us and projecting our guilt onto them. This is how the special relationship is created. When another person is your source of happiness, to put it bluntly you are screwed. The ego convinces us that all the love we need is in one “special” person. This kind of relationship is different from your other relationships because you come to believe that you need this person to be complete. The special love relationship is exclusive. It makes that one special person better than you and everyone else. Your ego tells you that they’re your source of serenity, happiness or security. There is no way that special love can ever work, because no other person can be your source of happiness. But without knowing where to ﬁnd that true source, we’ll keep searching for it in all kinds of people, hoping to ﬁnd the one. I was stuck in the pattern of special relationships for a long time. Starting in high school, I made my boyfriends into idols. I was so afraid of being alone that I compromised my own needs to stay in a relationship. (I share my whole story in my memoir, Spirit Junkie.) The ego had convinced me that without a man I was incomplete and therefore unsafe, taking my fear from the past and projecting it onto the present. In retrospect, I can see that this fearful addiction was based on the ego’s lies. The story wasn’t real, but it sure as hell felt real at the time. I was convinced of it. Romantic relationships are the ego’s playground. Our ego convinces us that we cannot live without a “special” partner. The need for a special partner is a primary cause of codependency. This fear-based thinking leads us to do whatever it takes to make people happy so that they don’t leave. We become inauthentic. We try to be what we think our partner wants so that we don’t lose our special relationship. We put their needs before of our own, and we deny our true feelings. The ego also uses future projections to hook us into the illusion. Often we project specialness onto someone we’ve just met. One flirty message on an app, one wink at a party or one hint of affection will lead us down the ego’s road of special future-tripping. Within minutes, in our imaginations we’re saying “I do”! The ego will grab any shred of attention and become addicted to it. Our ego has the capacity to convince us that someone we don’t even know is super special. A stranger can become an idol fast. The special relationship presents itself in many areas of our lives. We can make romantic partners special, but it doesn’t stop there. We often make celebrities special. We can make people we admire special. Maybe there is a friend who you’ve made special, imagining they’re cooler, smarter or just have their life together more than you and everyone else. Whatever person you’ve made special will inevitably disappoint you in some way. Their ego will always shine through (they are human!) and you’ll be left disappointed and feeling alone. In response, you’ll judge the “special” person for not being who you thought or hoped they were. No one can be expected to release the illusion of specialness overnight, so it’s important to be gentle with yourself. This is a long-term goal that requires daily dedication. The dedication is worth it. When you break the pattern of special relationships, a whole new world opens up to you. You can be vulnerable, you can be authentic and you can connect with your partner in a much deeper way. If you are in a relationship, your answer might be your partner. But I encourage you to get fearlessly honest here. Have you made an ex into an idol? Or do you see a friend’s parter as special and think your own never measures up? Shine light on special relationships. Your honesty will set you free. If you’re single, maybe you tend to make certain people on those dating sites special. Or maybe you’ve made an ex special, and as a result you struggle to truly connect with new people. You can go beyond romantic relationships. Maybe you’ve made a teacher or celebrity special. Open your journal and write out all the ways you’ve created special relationships within your life. Shine light on those special relationships. You can even include yourself. One of the most powerful ways to release your special projections (even temporarily) is to out them. Once you recognize where your ego has created special relationships, you can begin to call them out. Speak openly about how you’ve perceived others, and stay committed to seeing things differently. You may not want to tell your special relationships how special you think they are. Instead, just share with a friend. By outing your ego to a friend, you weaken the ego’s projection and begin to see others as equal. In all situations we have two choices: We can see with the ego or we can see with love. Each time you witness your special projections and say them out loud, you have a choice to defend them or release them. The ego will work hard to keep you in the dark by reinforcing the specialness in others and yourself. Because of that, it’s important that you continue to choose to see equality in others. Whenever you witness that you’ve made someone special, choose in that moment to see things differently. This simple mental shift will do all the work for you because you are inviting in love. Say to yourself in that moment, “I choose to perceive this person as equal. I know that the light in them is equal to the light in me.” You can make this a mantra that you turn to in the moment. I want to give you a really powerful meditation script to release specialness. 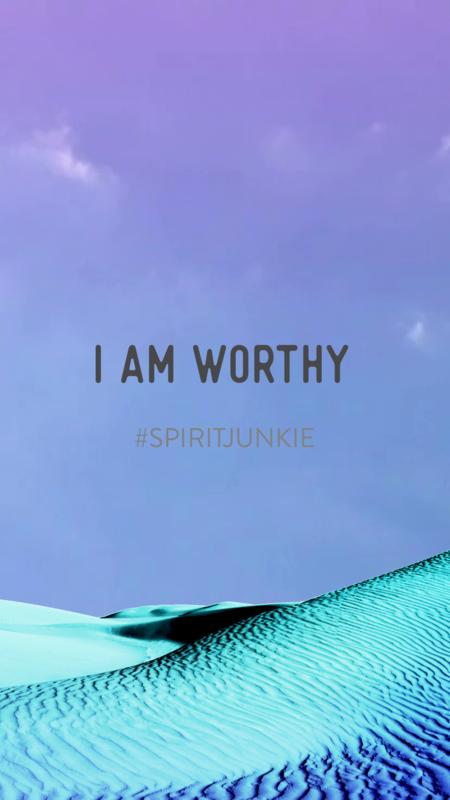 This meditation comes from Spirit Junkie. If you want to follow along with the audio version, you can get the Spirit Junkie meditation album. Sit up straight in your seat, with your palms facing upward. Breathe gently in through your nose and out through your mouth. Identify a person you have made special. Imagine their body entering into the room with you. Looking directly at them, witness a ball of golden light forming in their heart. As you breathe in, welcome the light from their heart into your heart. On the exhalation, extend this light from your heart to their heart. Continue this cycle of breathing the light in and out. Breathe in the light from their heart. Extend the light from your heart to their heart. As the light extends, it begins to grow around each of you. As you continue breathing, the room is ﬁlled with light. The light surrounding both of you is a reminder that you are one. Breathe in: I see you as equal to me. Breathe out: We are one in the light. Breathe in: I release all specialness. Breathe out: The light I see in you is equal to the light in me. Take one last breath in and open your eyes to the room as you exhale. 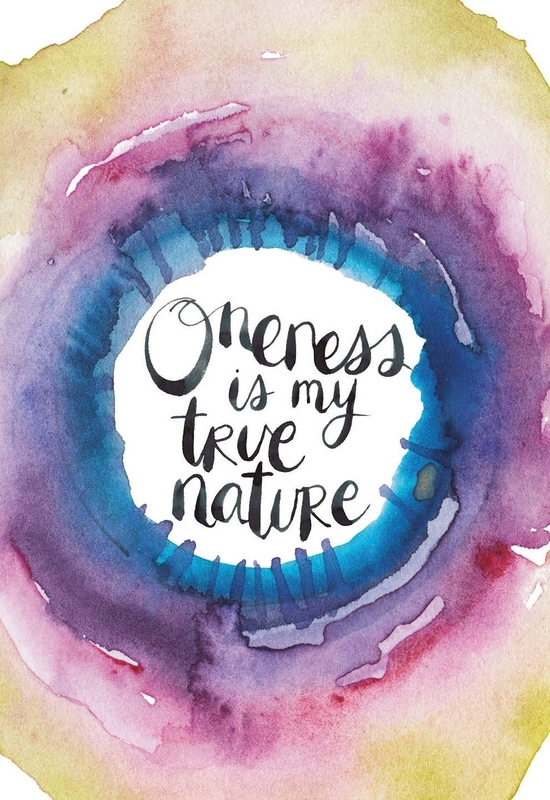 This meditation is a powerful tool for reigniting your inner belief in oneness. Each of us believes deep down that we are all one. We know that specialness is just an illusion. We know separation is an illusion. We’ve just forgotten. Through meditation you can allow a power greater than you to lead you to remember. Practice this meditation often to deepen your belief that we are all equally special. Release specialness and form happy, healthy relationships! I created a free 4-track meditation album with guided meditations for every area of your life… including relationships. If you’re still hung up on an ex (or still angry at them), then this meditation will help you clear that energy and feel free! Click here to get all 4 meditations free. Thank you Gabby. Needed this more than I can say. Truly appreciate this today as I woke up struggling to be emotionally independent from my relationship. Can be tortuous when recovering from a breakup. I’ve been stuck on this thing of ‘special relationships’ and the eternal search for *the* man for years… And it has made me miserable, with the sensation of being “incomplete” even though I know I’m able to be happy the way I am today. Then I realized that my search for a perfect person to live a relationship the way I always imagined was making me sick, anxious and not authentic at all, and since I noticed that, I’m working to let this idea go. Not easy at all… I never thought it was a way of perceiving the other as an idol. Anyways, I keep working on breaking this pattern. This text was all I needed to read today! Thanks a lot for sharing. Interesting as I have evolved to a higher consciousness since my spouse’s death, I continue dating a man as a friend not love interest because I’ve realized I don’t need a man to be happy. I’ve always had a man in my life since middle school! I mean they were more important than having girlfriends. I’ve realized a lot as I became a wiser woman. My grandchildren bring me joy more than anything. I told this man friend I love his beautiful soul but am not ‘in love’ with him. I’ve been quite up front how I feel regarding relationships. This article was very interesting finding me already putting the advice into practice before reading it. Gorgeous Bo. Thanks for sharing here! These rules ans articles can confuse me. What about feeling connected to someone be it a lover, friend, family member, etc. vs. that feeling of no growth or connection in those situations. I choose to surround myself with healthier non-toxic types. I don’t think this is my ego or putting someone above me, its a feeling of trust, love and compassion. People do effect us and I personally go towards the more positive connections for love, safety, security.. not because I put them above me, because that is choose to surround myself with. Great posts lately, my friend! I remember when I made you special years ago and it’s not a good feeling for either party. I think with the internet, now, the idea of Idols/Specialness is more predominant and so many people don’t know they are doing it. I like that you outlined this a great detail because we all do it in one way or another. Would you say, too, we do that with objects like food, possessions, etc? Once we witness and really OWN what is happening, that’s when we can start to catch ourselves. We’ll all continue to fall into the trap, but as you say, it is the comeback rate that matters. Keep up the good posts. Hopefully you will return to videos again? Great post. Thinking highly of others may seem innocent. A dream of a certain someone revealed to me the ways in which every gesture and word I said was a way to manipulate the special someone into seeing me in a certain way. If I imagine someone as more special than me, I don’t feel safe to completely authentic. This seems deceitful and unfair to the ‘special one” as well as myself. Hey , I’m wondering how to know the difference of making someone special more co dependably attaches vs being in love with them. Research shows when your in love certain chemicals are released in the brain, what’s the different between ego love and essential love. Hi !! The timing of this message is incredible ! From the bottom of my heart thank you !! I think I’m doing this now, recently met a great guy, reminded me what I want in a partner but distance is the issue. I think he would be a good choice for me. I am idolizing him above others but not myself. Wish I could clear this out of my head. I’ve misunderstood this previously because of the word ‘special’ and thought “obviously my mum and dad are more special to me than a colleague”, or “how can you get married if everyone is of the same specialness because you’ve chosen one person to be more special than everyone else”. But you’ve made it much clearer here; for example if I don’t go on a date with someone because I won’t forget that guy who obviously doesn’t like me, or won’t leave the house until I’ve listened to Abba then spend my whole day obsessing about Abba and make everyone I meet listen to Abba, (I swear I never do this, I just use it as an example and I have a healthy relationship with Abba) then this imbalance is the problem? This is exactly what I needed today. Thank you! I relate to this a lot in that I’m single, and I look at my friends and family that are married or in romantic relationships, and feel that they have found their ‘special’ someone, and that since I haven’t I am somehow less than them. I definitely needed this today. Thanks Gabby! This is exactly what I needed today . Thank you so much ! Isn’t funny how the right information comes our way when we need it? Thank you! Your words helped me realize the “problem” in my marriage. Thanks for posting this Gabby! I agree with you about most things and absolutely love what you share! I wanted to ask your opinion on something though and if you have heard of such a thing please let me know! I tend to think that everyone is special.I didn’t when I was younger mind you. I believed in celebrities being better etc. Today, I don’t think that they’re any better though. I think that they’ve usually done alot of work to get to the places they are but they are no different. Their work to me is commendable but not more then anyone who works for what is right. I tend to believe that we are each unique, etc. Today, I believe that the word celebrity is just that..a word. I was actually thinking about this earlier because I learned that Leonardo DiCaprio smokes and let myself get disappointed by it. Then I thought about it and I used to smoke too. Why was I judging him for smoking when I did in the past!?! 7 yrs ago but still how is that any different? How is his life more important then mine? In my point of view and no offense Leo. it’s not… at least I don’t think it is. I grew up in Theatre, so I consider actors a second family in a way.I love each and every one of them and I don’t think it’s wrong. They hold a part of my heart and always always will. I can’t explain it because I feel that strongly about those I have not worked with. I seriously care about their well being offscreen, offstage, etc. To me they aren’t better maybe better off financially but money isn’t everything. Seeing Leo smoke upset me though because I’m used to harming myself, not watching others harm themselves. My problem, if it is a problem, is that I react like a child in some ways. Take Leo for example I care about his well being or I would not have gotten upset. Not because of who he is though, which is the case with most but because he is a person just like everyone.Why doesn’t he love himself enough to take care of that!? Just like everyone, our bodies wear out and he’s killing his. I was killing mine too so I understand but man!!! Man! Gabby, I wish I had magical powers and could send a ball of love into him to make him love himself enough to take care of his body. I don’t understand the word celebrity anymore though because what makes a celebrity? If someone is a celebrity should we no longer care about their well being? If I’m bad for caring then I guess I’ll forever more be bad because I won’t stop caring. My problem comes when people aren’t used to that and think that I mean more. This message came to me at the right time. Divine Timing. Thank you so much and God Bless you!! SJM Live Grad here–just wanted to say thank YOU as always for being such a wonderful, un-tethered force of light. This meditation and this mantra has come to me at the literal perfect time–I’m navigating a new romantic relationship that is bringing up ALL the triggers (like literally all of them) and I had been asking the universe for something to help guide and ground–and this post came my way. Love to you as always Gabby!! Thank you thank you thank you!! This post came into my life exactly when I needed it, thank you! Wow, thank you Gabby! This is such a wise and good perspective. Just by reading the article, I already feel liberated from envy, admiration and feelings of not-being-good-enough. As a good friend always pointed out to me when I was swooning over this guy I was crushing on: “It’s not about him, it’s about you. Put him off the pedestal!” Reading your text now gives me a deeper understanding of what she meant. Can’t thank you enough! Happy that you’re here Nelia! I am soo thankful for your SpecialnessDetox !!! I am struggeling ending from Long Long term Relationship ( 35years ) . It opened my eyes , and I just feel better by reading it !! And I have done The Meditation : it is so powerful !! I want to make this wonderful picture of golden light being a Part of me to feel The oneness almost Every Moment . T h a n k Y o u S o M u c h !!! This was perfect! It has helped me let go of my past negative relationship’s of ex’s that abused me k cut the cord on each person let go of the past and release the need to make them “special” they no longer have that reason I now value myself more love others equally. A friend recently referred me to your book, May Cause Miracles, which I started today. I am so looking forward to the process. While ACIM is not new to me, I feel the universe bringing me to it again through you. I also have another book that helps interpret its messages which I found myself reading recently. In the case of special relationships, I have been in turmoil for the past 3 years with mine. I see my partner not as the answer to my prayers, but the opposite. It’s strange because despite what my head cautioned me against, given several red flags, I chose the path of my heart, but it has caused me such pain. I am with this person, but I am so focused on how he is not the partner I had wanted, or who I asked the universe for. I have been struggling with why the universe brought us together. You see, I met him about 1.5 years after my divorce (I split up in 2013). He is the opposite of my ex-husband, a risk-taker, talkative, very masculine, etc. and comes from a very tough upbringing, is a recovering addict and is rough around the edges. In contrast, my ex was my special relationship in the usual sense – full on co-dependence, fear of abandonment. He was my sanctuary from life, as I suffered from depression and terrible anxiety almost my entire life. To me, life equals fear. Coming out of that, I wanted to show myself I had healed my abandonment issues enough so I wasn’t crippled by them, that I would never “need” a man that way. Then, I met my current partner, a person who I keep comparing to what I believed my new standard to be. To say that he fell short, is an understatement. On so many occasions, I thought of ending the relationship, but I kept getting messages from the universe that I shouldn’t. Also, I realize that I still have fears around breaking up, being alone, etc. After listening to the first chapters of your book and reading this blog, I feel that I have such a hard time loving him with all his faults because of what I believe he should be. I cannot see him for who he is, but only what he is not. Moreover, I realized that my inner conflict can never be resolved – to stay or to go – if I constantly look at my relationship though the lens of fear and anxiety. I am judging him constantly through the lens of what I had hoped he would be. Fucked up, I know. My point is, sometimes, this special-ness can take a weird twist. The desire for something special can also make us miss the love that is present in ways that we would not expect. Maybe someone out there can relate. This is an eye opener for me. Can’t say how much this helped come to terms with myself and the chaos i have been undergoing . Hey! Thank you very much for this extended explanation about special relations. It really made me understand why I feel always unsatisfied and sad in some relations I have. But I have a boubt: does this mean we should not look for romantic relations, or we should not feel in love with someone else? Or the point is just not making them our source of love and happiness. How do I handle intimate relations then, as we always will hace them? Thank you! Hi Mario! A great place to start is by fostering a feeling of self love. You are correct about looking within for that feeling rather than seeking it out in someone or something else. A loving relationship towards yourself will help support you in your relationships with others.